One of Sydney’s best-known players in cultural event production and promotion between Australia and China is, of course, Ausfeng Group. Founded in 1998, Ausfeng is celebrating its 20th anniversary this year. 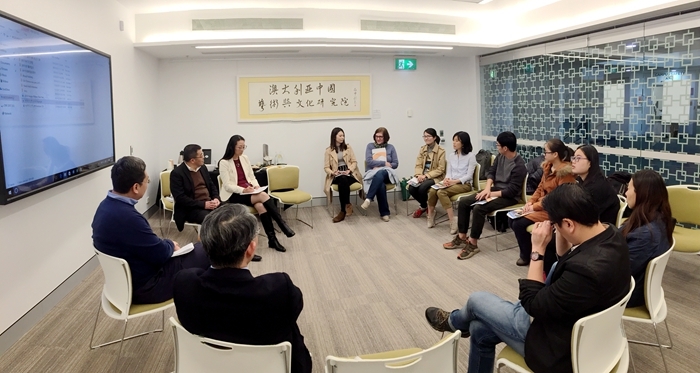 On 28 August, 2018, its CEO, Dr Robert Feng and two of his colleagues, Cindy Xin and Shadow Li, visited ACIAC for a workshop with our first cohort of Master’s students in Chinese Cultural Relations. This workshop provided students a valuable and inspiring opportunity to communicate with a leading organisation and learn cultural exchange practices in the real world. After briefly introducing his group, Dr Feng spoke to the students about the numerous cultural events that the company has been running since 1999. These included music concerts, art exhibitions, acrobatics, song & dance galas, music & film festivals and tea expos, among which were “Mulan Show” (acrobatics, 2011), “The Beauty of Chinese Characters” (calligraphy exhibition, 2012) , “Confucius” (dance opera, 2014), “The Yellow River Cantata” (concert, 2015), “The Imperial Bells of China” (music and dance, 2016) and “Treasures of a Nation” (Chinese folk music concert, 2017). Through these events, the company has helped in bringing top-tier Chinese artists by the hundreds to Australia. 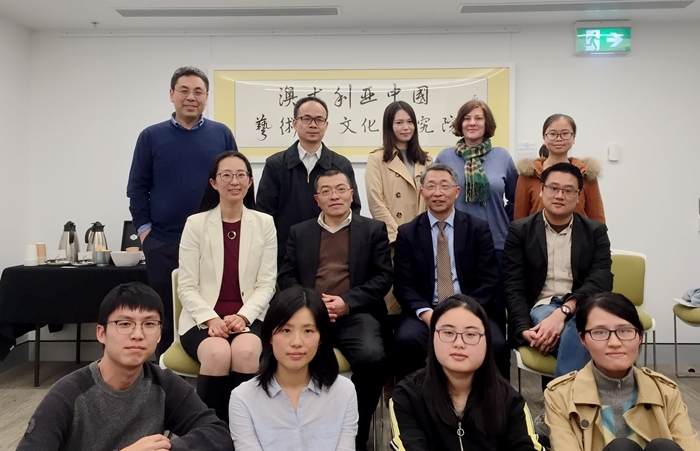 After showing some video clips of the spectacular events that they have run, Dr Feng and his colleagues invited our students for more interaction about Australia-China cultural exchange and communication. They looked into the specifics of staff skills and practical challenges involved in production of such events. And they also invited the students to participate as future interns and learn more through one of the company’s forthcoming events. The course advisor for the Master of Chinese Cultural Relations, Dr Xiang (Tony) Ren, hosted the workshop.